I told you this was going to be a slow blog! I thought I’d come back with ‘some stuff that I’m loving’, a culmination of items that have been given to me by my gorgeous wife @girltini, mostly for xmas. We share a lot of ideas, her and I, so I always look forward to xmas as she is absolutely the best gift giver – I always know I’m going to get things that I’ve been lusting after. Something that’s become ever more apparent to me over the last 12 months or so is that I really need to be in the corner of the brands that I’m spending my money on. Gone are the days when I’d just casually buy a key piece and hang where it came from or what the brand was about, now I’ve got to feel not only loyal but also proud of the products that I get. Sure, it’s still consumerism, but I have to be onboard with my brands in some way. I need to understand them and what they’re about. 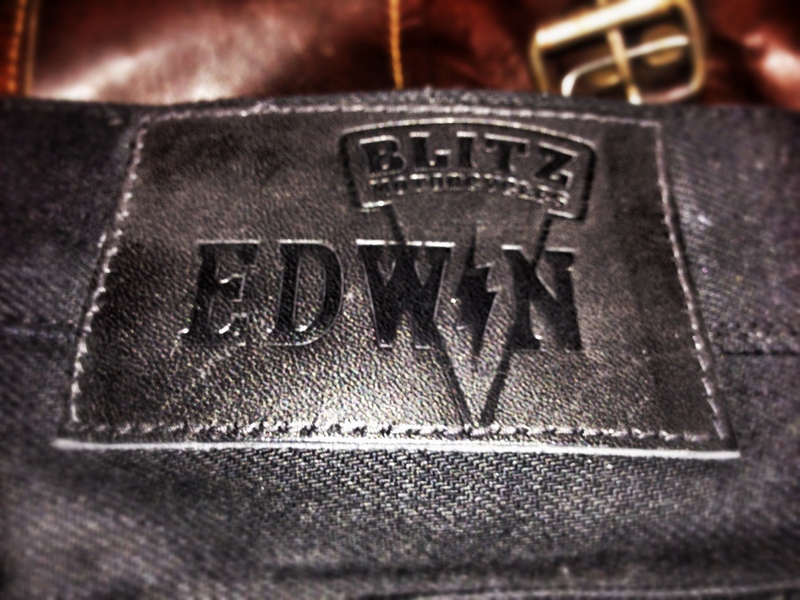 I’m currently in the middle of a full-blown crush on Edwin, and the fact that they have a regular hook-up with Parisian custom motorcycle awesomers Blitz Motorcycles only serves to make everything better in my book. As soon as I clapped eyes on these EB-71s – Edwin usually code their products ‘ED’ but change the nomenclature to ‘EB’ for the Blitz line – I fell for them. I was looking for a good raw black denim, as I already have a much-documented pair of indigos that are pretty much perfect, and these ones ticked every box. The denim is an exclusively developed 13.7oz unwashed black selvedge, with black buttons and a custom black leather Blitz patch. The only thing that isn’t black is the stitching on the inside of the seam, indicating that the selvedge is white listed (most I’ve noticed are usually red, so this is a nice point of difference). Being fairly new to the denim game, I was pleased to learn that these come up slightly big as raw denim can shrink by as much as two centimetres when you wash it. 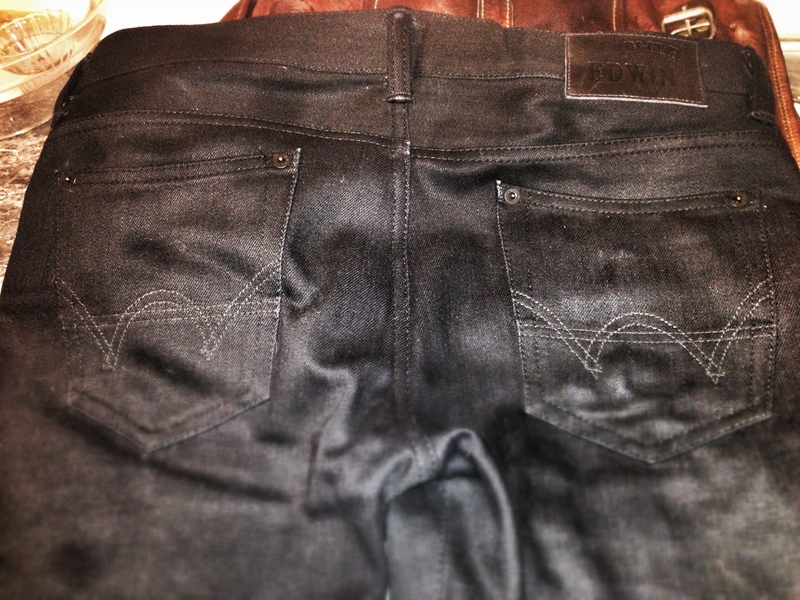 Talking of which, my friend-in-the-know on these matters, Neil from Proper Mag, tells me to treat black raw denim in exactly the same way as indigo, so I’m attempting to no-wash this pair for six months – five to go! The only problem that I’m finding in pursuit of this however, is that black shows up every dirty mark that’s even waved in its vicinity, which is not a good thing where our baby and her snack obsession is concerned (Peppa Pig yoghurts take precedent over even the most sought after black Japanese selvedge). So, I’m now only wearing them out of the house, and putting to use everything that I previously learned with the Hiuts. We’ll see how long I can keep it up. 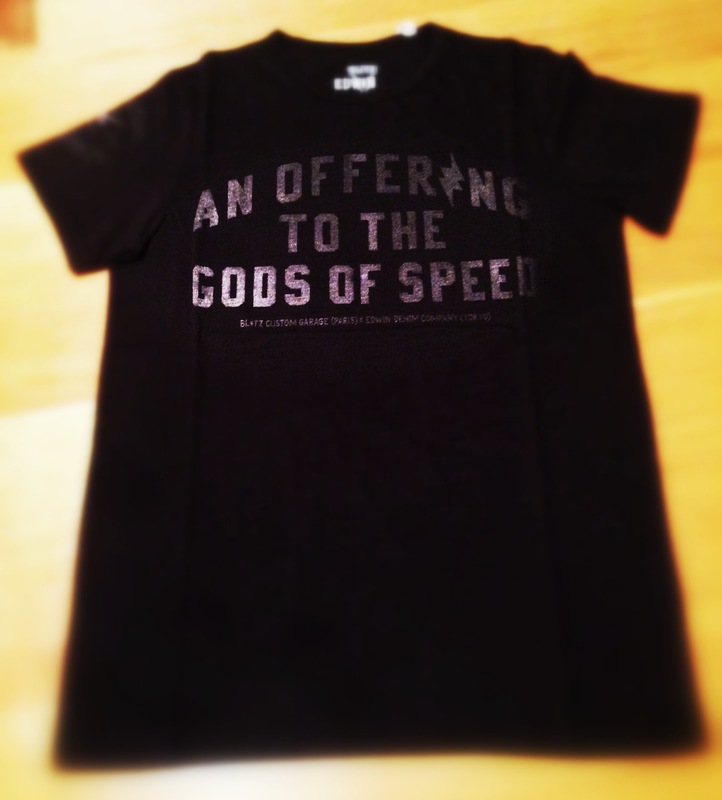 I’ve also got this Edwin / Blitz t-shirt, which is, frankly, the coolest tee that there’s ever been! I’m not sure how it happened, but the need for a pair of DMs crept back into my brain again just before xmas – something that hadn’t happened for some 23 odd years. 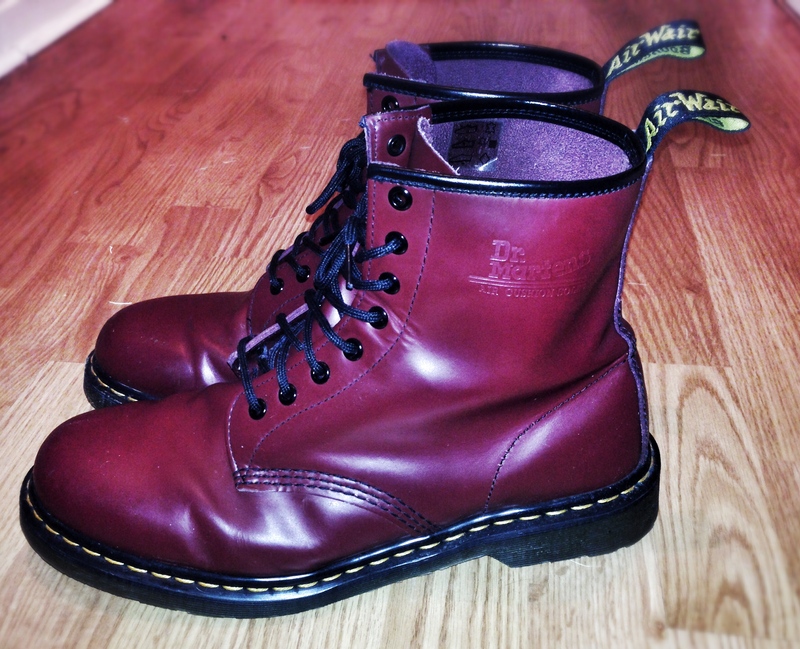 And these 1460s were the ones I wanted, in Cherry Red. I love a good wearing in process, and DMs are a great focus for that – I totally got into the right mindset for these. The first week or two I found a bit uncomfortable, not to wear, but just from looking down at the big beacons at the end of my trouser legs, they were a bit of an odd thing to live with. Especially when people are keen to point out your new shoes: ‘oh look, new DMs!’. I kept expecting people to christen them like they did in school. However, almost imperceptibly, the sheen came off and now they’re going a beautiful matt red as they bed in, and they’re starting to look really good – they’re about a month old in the photo above. The best thing is, they’ll only get better with age! 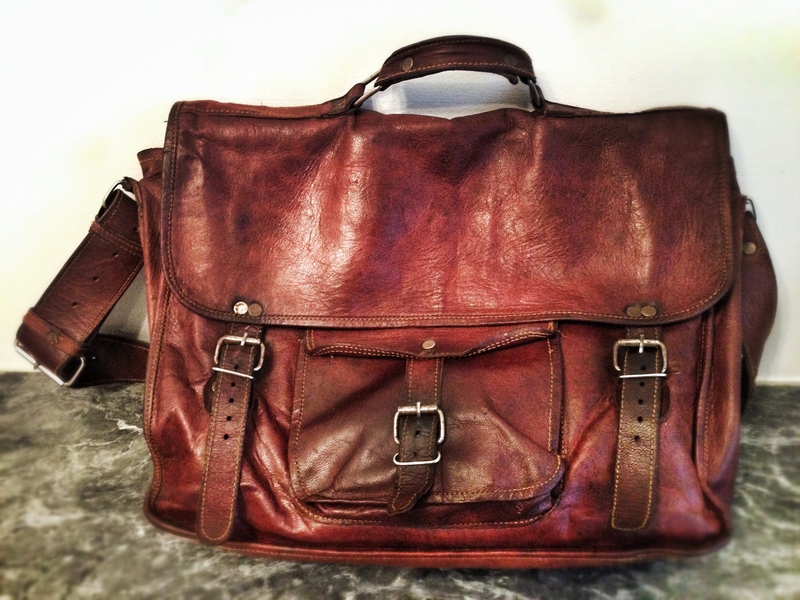 I’ve had this leather satchel for about a year now, and it’s another thing that’s wearing in beautifully (there’s a theme developing in this post, have you spotted it?). The dark tan on it is great, and the interior has enough pockets to fit my laptop, iPad, book, hat and so on – it also doesn’t really look like it has all of that in there, if you see what I mean, which I feel is an added bonus both in terms of style and the potential for the robbery of my possessions. I had to cut down and re-rivet the shoulder strap myself, as the original one was just too long, but this has only helped contribute to my fondness for it as it’s taken on a custom nature. The story behind the company is another good one, but instead of my re-writing it, you can read it here. 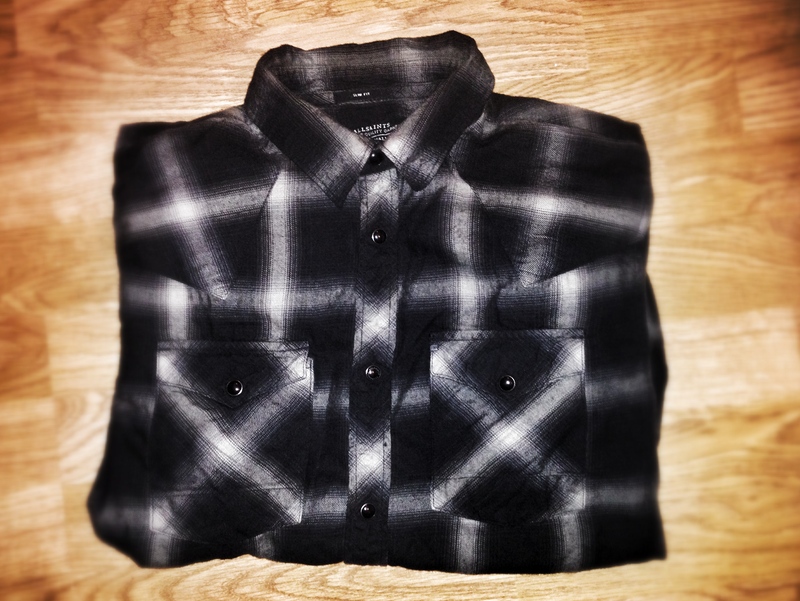 So I don’t know a lot about this AllSaints shirt, not even what it’s called, but it’s bloody great. It’s like the perfect combination of a grunge idea meets super soft Japanese cloth. It’s a slim fit that comes up so exactly right on me that you’d be forgiven for thinking it was bespoke. Girltini has a very good eye indeed! There’s something about these guys that just strikes the right chord with me. 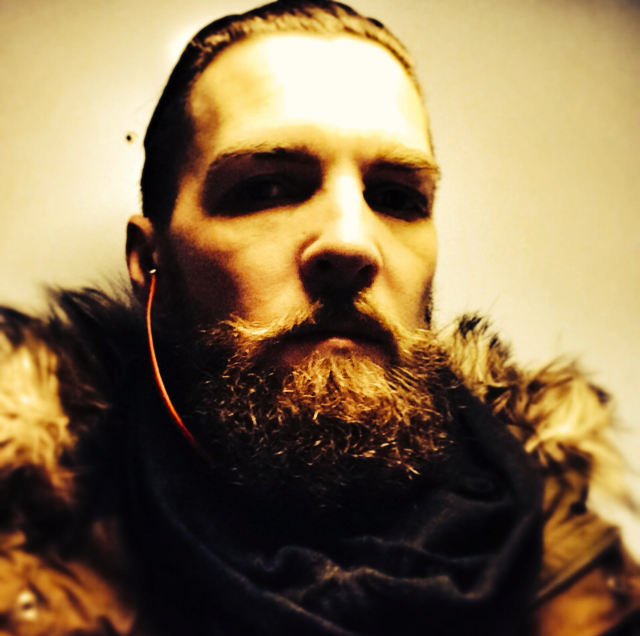 I like their look and style, and they always pick the right models to hang their stuff off – tattoos and beards being very much part of their aesthetic, which suits me well! Usually I’m dead against phone cases, but with winter a new need arose – the metal back on my phone gets so cold that it not only froze my hand while waiting for the train, but was also then super chilly in my jean’s pocket against my leg. This wooden one from P&Co fits the bill perfectly, and I like the crafted wood vibe juxtaposed with the ultra modern glass and metal functionality of the iPhone. Plus, it keeps the cold back insulated from my skin. The case is light weight and slim fitting too, so it doesn’t add much in the way of extra bulk. 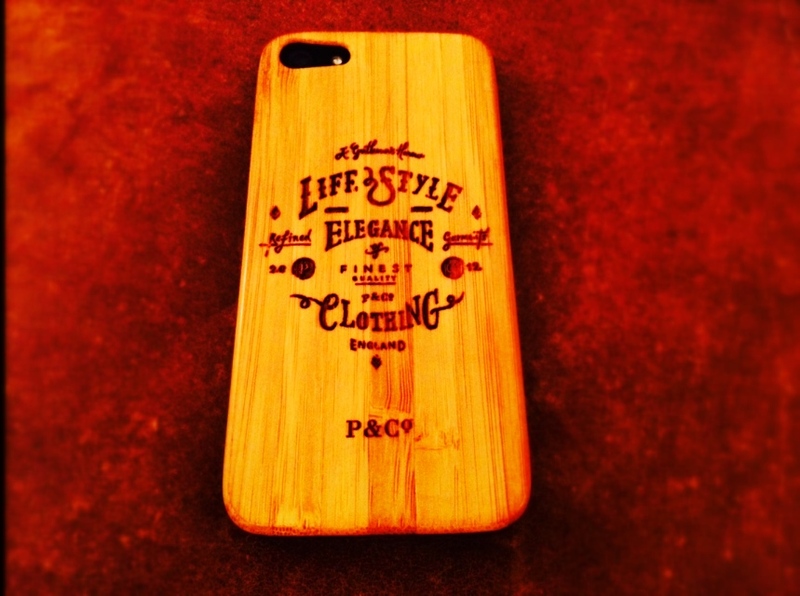 I put my phone face down a lot now, to admire the back. 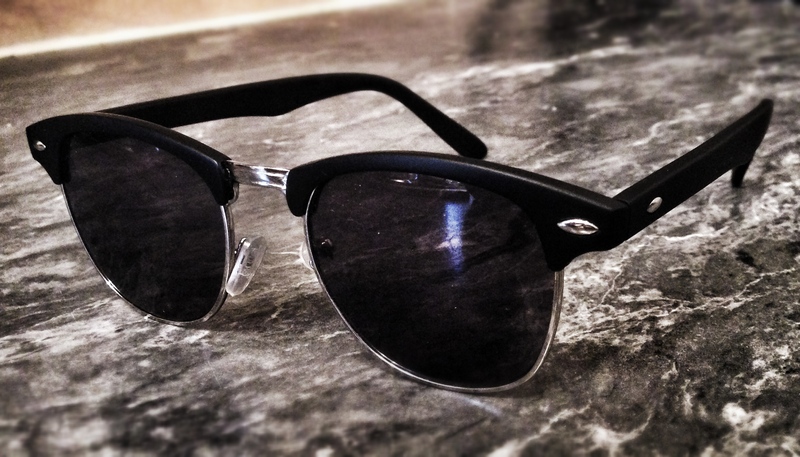 And lastly a little mention for these guys, ToyShades, who are making great sunglasses (and prescriptions too) for really not very much money, so if you’ve got some others that you don’t want to just sling in your pocket – I’ve got some Ray Ban New Wayfarers for example, that I just don’t take into every situation – then these are perfect for you to employ in the capacity of stunt shades. These ones are the Villains. That turned out a lot longer than I imagined, so if you’ve got all the way to here, then well done and thanks! Let me know thoughts, Qs and so on in the comments, or tweet me @jamiehibbard. My wife got them for me for xmas, I think through Edwin Europe online. Got to your blog via the Kickstarter page – I like it very much. What size satchel did you get from Vida Vida? My pet hate – always have a pound coin or Coke can when selling things on the internet for scale. Thanks man, good luck with the mag. Hi mate, I got the Grande Leather Satchel with Front Pocket and Handle. It’s really good but I tend to overfill it which really stresses the strap connecting bits, which causes the back one to twist and bunch up.